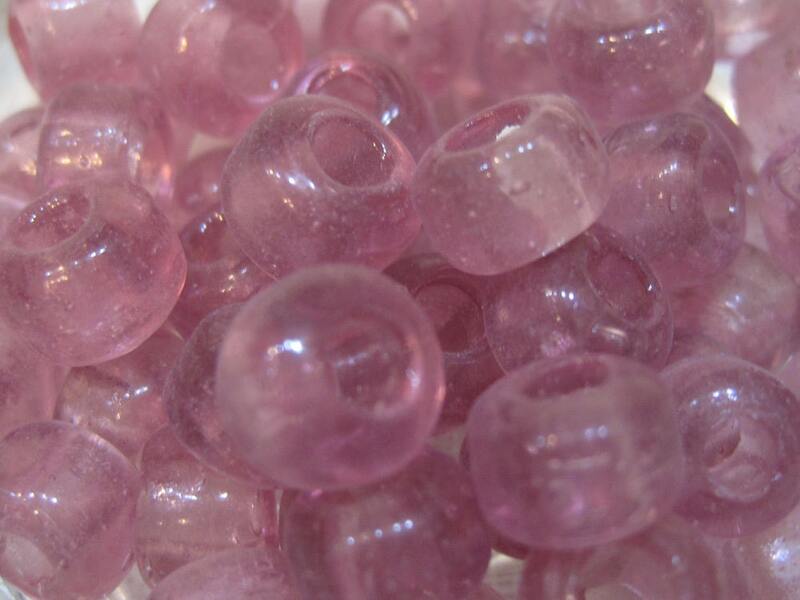 Light amethyst (pink) glass crow or roller bead, 9x7mm Also referred to as pony beads. Nice quality, made in India. You will receive 60 beads per listing. Very large 3-4mm sized hole, so great for fiber projects requiring a large hole. Also great for kids crafts as they are much easier for kids to handle. These glass beads are much prettier than the plastic alternative! I have other colors & sizes, too, so if you need more than the ones listed here - http://www.etsy.com/shop/southpassbeads/search?search_query=crow. Perfectly beautiful beads and rapid delivery ~ top ten shop!